The robots Tesla had flown to its Nevada Gigafactory to hasten the building of Model 3 batteries are not yet fully operational, according to a source inside Tesla who provided Business Insider with video. The robots are part of the company’s plan to ramp up Model 3 production and build 5,000 Model 3s by the end of June. A Tesla spokesperson disputed that the robots were supposed to be operational by this Sunday, contradicting Business Insider’s source. 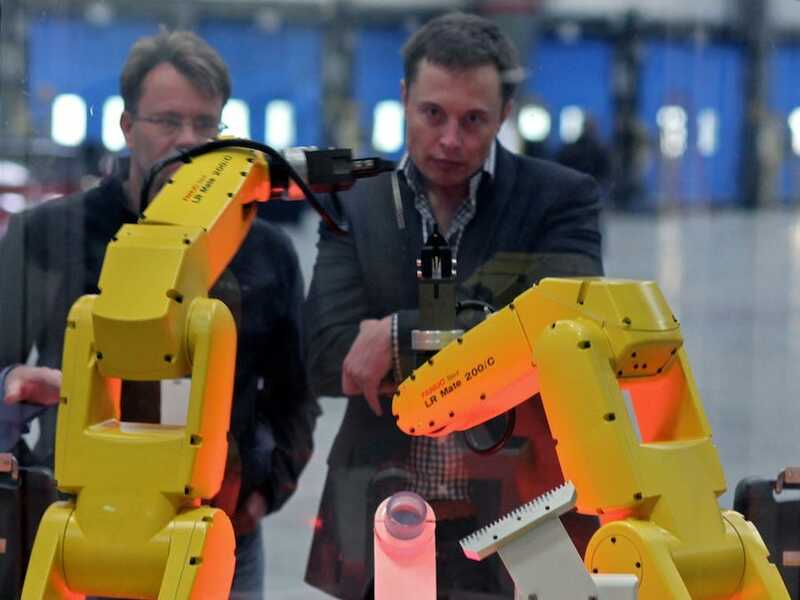 The new robots at Tesla’s Gigafactory, which CEO Elon Musk said would play a key role in ramping up Model 3 production, are not yet up and running. One massive machine meant to put together the modules that make up Tesla’s battery packs is still not fully operational. Tesla aimed to have the new machine working by this weekend, according to a source at the company who requested anonymity. Business Insider has also seen video of the dormant machine, and at the time of this article’s publication, it was still in test mode. A spokesperson from Tesla told Business Insider confirmed that the robots are not yet operational, however, they disputed the idea that the robots were supposed to be up and running by Sunday. The spokesperson said the equipment was delivered before Memorial Day and has been getting installed during the last two weeks. This machine was part of a high stakes, rare and expensive aerial delivery by auto industry standards. Tesla had it delivered in an effort to achieve its goal of getting the Gigafactory to produce enough batteries to make 5,000 Model 3 cars a week by the end of June. Musk said that the Gigafactory was currently only a one-third of its planned size and that once it was completed it would be the biggest factory in the world. At Tesla’s shareholder meeting on Tuesday, the company’s CEO Elon Musk reaffirmed that Model 3 production has been difficult, but also said that that the company could reach its 5,000 car target with the two general assembly lines it currently has. The company is currently adding a third assembly line at its Fremont factory and Musk said that with this new line, he was “very confident” the company would hit the target. That may be true, but internal documents leaked to Business Insider show that that has come at an incredible cost. Tesla is scrapping an eye-popping amount of material in order to make the Model 3. Emails dating from the first quarter show that as much as 40% of what the Gigafactory was manufacturing into drive units and batteries ended up as nonconforming material. Of that nonconforming material half would be reworked while the other half was scrapped. Internal estimates show the Gigafactory had blown through at least $US150 million in scrap from the beginning of this year to the end of May. Tesla disputed the $US150 million number saying it was a gross exaggeration. It also said that it has decreased its scrap rate dramatically since the beginning of the year.